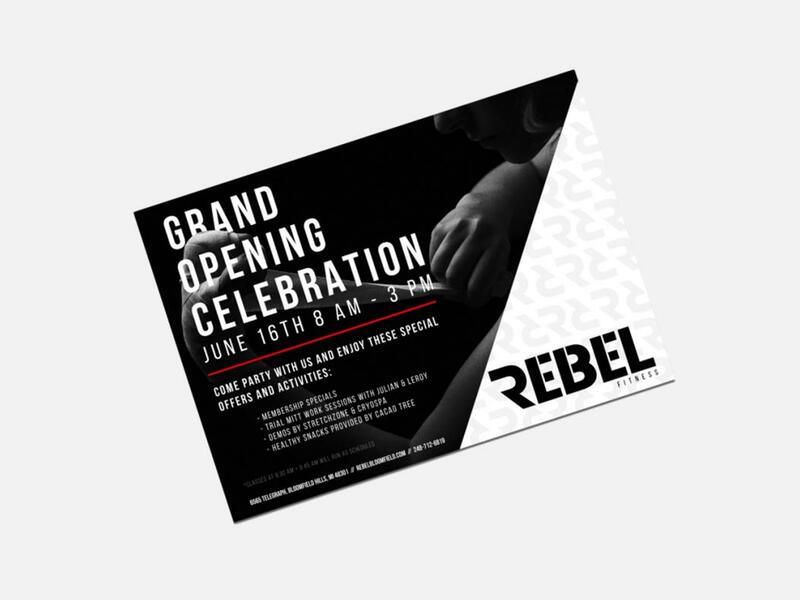 Rebel Fitness is a boxing studio located in Bloomfield Hills, Michigan. This innovative company hired the midnight oil group for website development and assorted on-site design projects. They wanted a cool, trendy and edgy look and feel for the brand, which we incorporated throughout the website and creative assets. 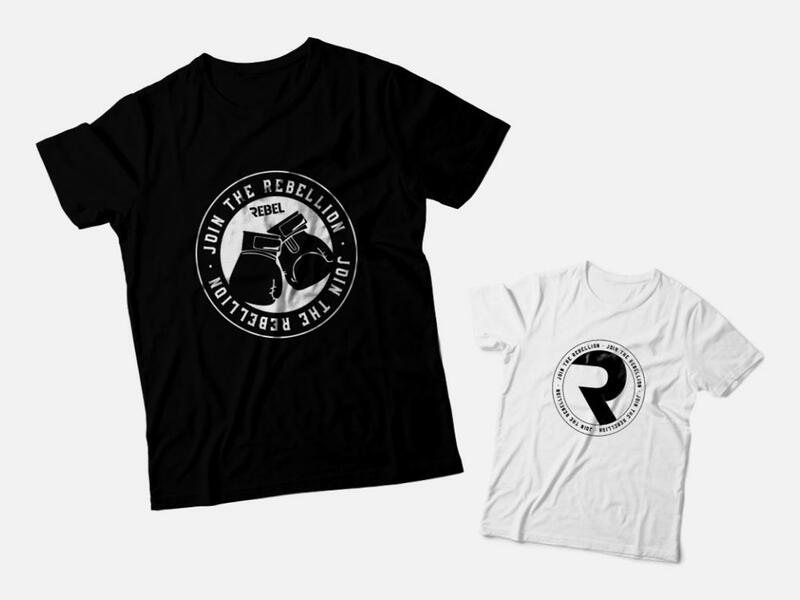 The Rebel Fitness website remains one of our favorite creative projects! The client gave us free rein to build upon their existing logo and build out an edgy identity for the brand. We chose bold colors – black, white and red – to convey strength and power, and integrated black and white imagery throughout for an interesting visual contrast. From a function standpoint, we integrated two outside scheduling and fitness platforms – Mind Body and FitMetrix – directly into the website. This allowed clients to schedule classes and access their personal fitness accounts. 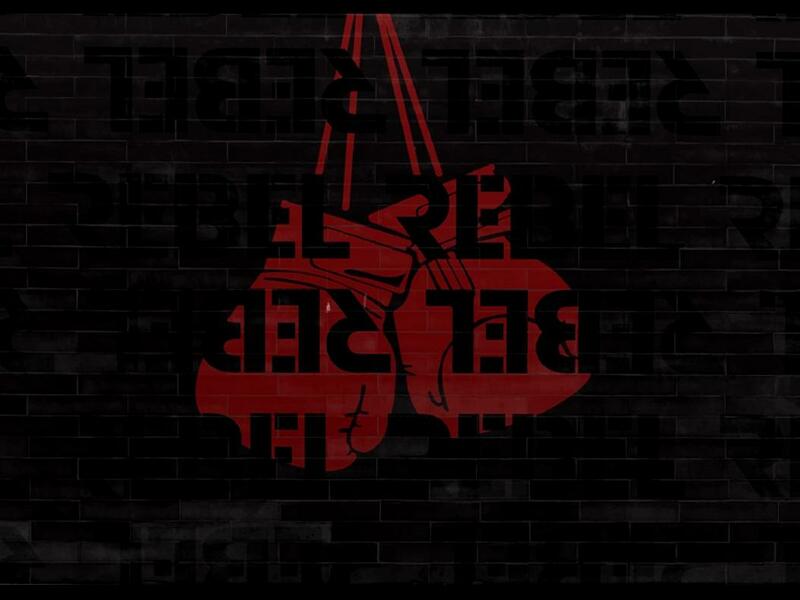 Rebel Fitness requested we create custom artwork that would be featured inside the gym. This included a full wall design, as well as smoothie bar signage and motivational messages that are displayed throughout the gym’s hallway. 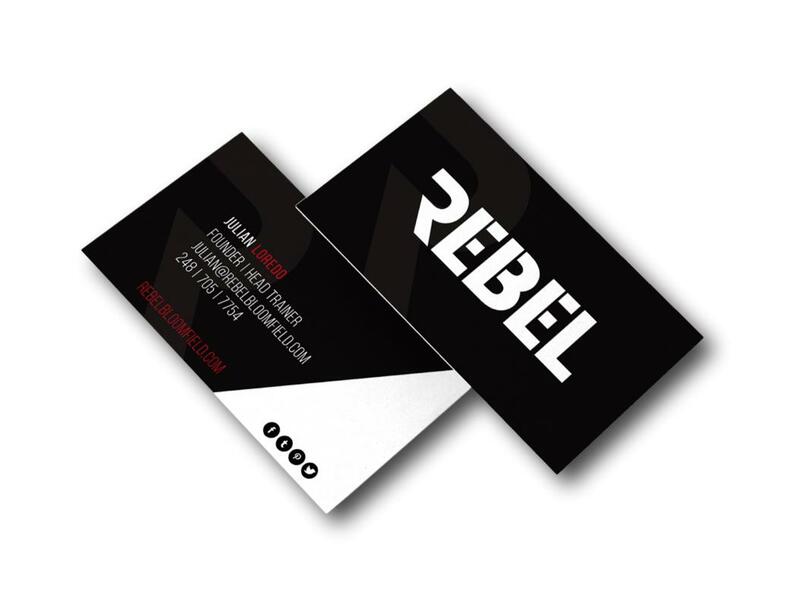 Rebel Fitness had an existing logo that we worked with to create custom business cards for each trainer. We pulled in similar elements as the website to ensure visual consistency. To promote the gym’s launch, the midnight oil group designed promotional postcards that would be distributed at related businesses. To announce their opening, we conducted a localized press push, securing both print and broadcast coverage. Rebel Fitness owner Noah Dorfman and head trainer and co-founder Julian Loredo were featured in back-to-back segments on Fox 2 News, one of the top-rated morning shows in the Detroit market. Looking for apparel that would speak to several causes important to Rebel Fitness and its staff, we designed apparel that reflected Rebel’s support of breast cancer awareness and LGBTQ+ pride. We also designed a few pieces that were for general Rebel Fitness awareness.